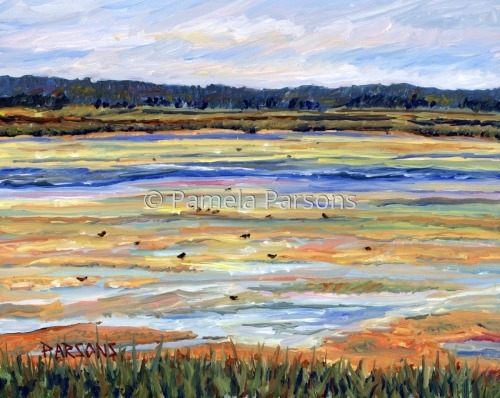 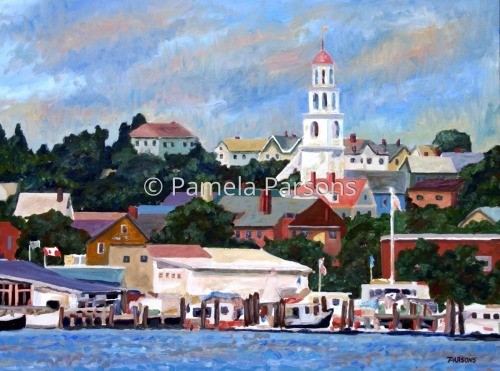 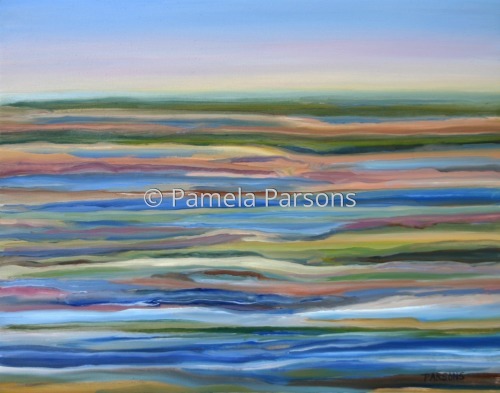 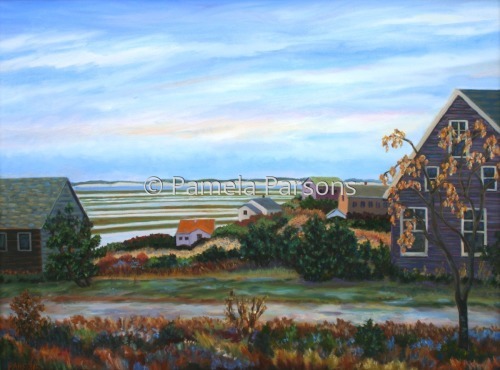 Print from orignal oil painting of the salt marsh on Plum Island, Newburyport, Massachusetts. 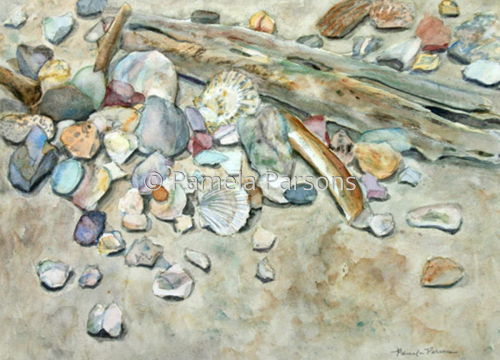 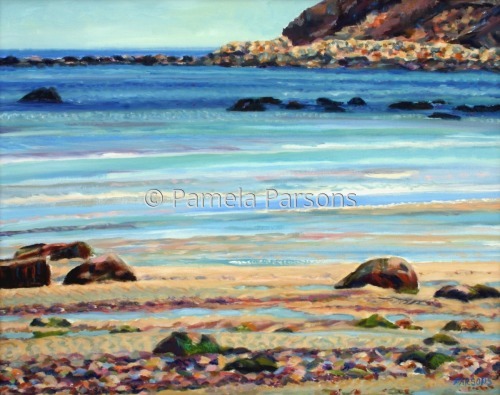 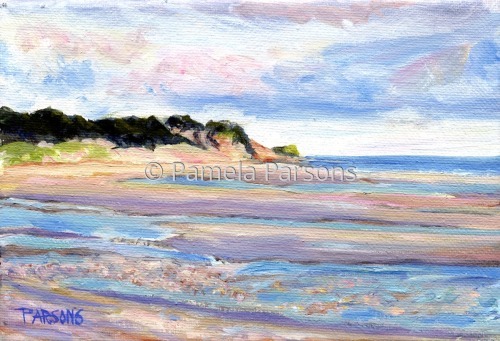 Print from original Impressionist seascape of the tidal pools on the bay of Cape Cod, Massachusetts. 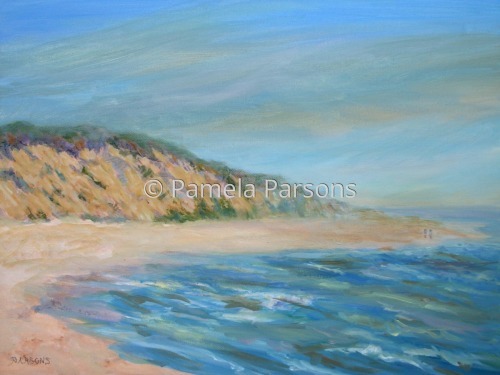 5" x 7.25"9" x 13.25"13" x 19"
Oil painting of the preserved Cape Cod National Seashore in Cape Cod on the Massachusetts coast. 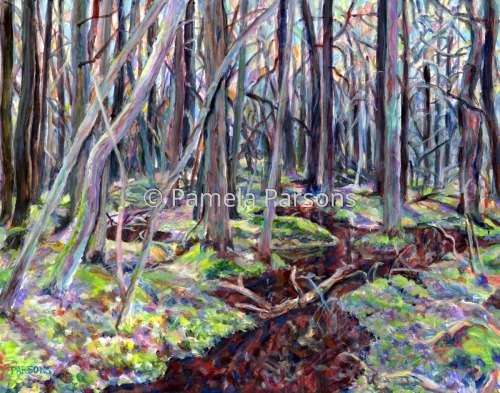 Print from original acrylic painting of the White Cedar Swamp in Wellfleet, Cape Cod. 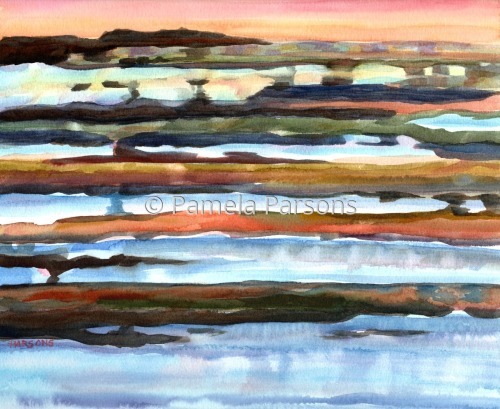 9" x 11.5"11" x 14"13" x 16.5"17" x 21.75"
Oil painting inspired by the salt marshes on Plum Island, Cape Ann. 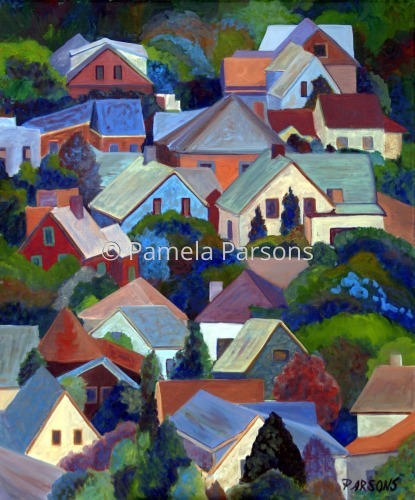 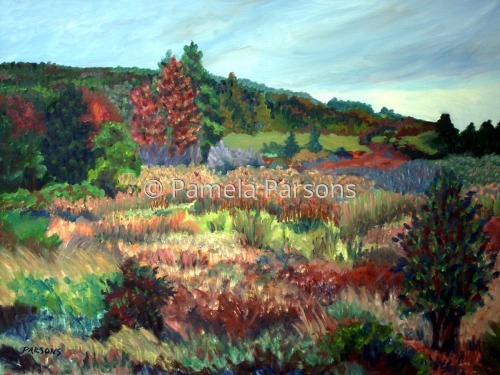 This is an oil on canvas impressionist painting of a colorful meadow in early autumn in Brattleboro, Vermont. 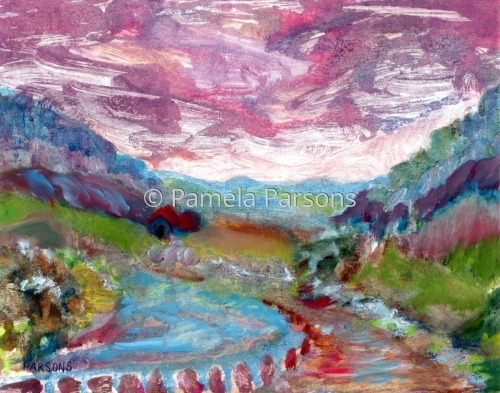 5" x 6.75"7" x 9.25"9" x 12"11" x 14.75"13" x 17.25"14" x 18.5"
Through the White Mountains started as a monotype ink print and was finished with oil paint. 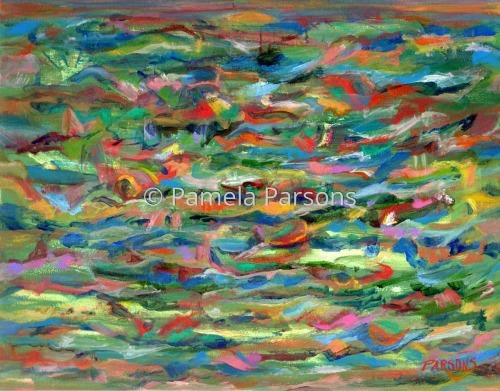 This expressionist painting was inspired by the Kancamagus Highway which winds through the White Mountains of New Hampshire.